SEPTA announced today that it will start to let riders pay with debit and credit cards for single subway or El rides at new kiosks being put up in stations. Riders will now be able to pay at the kiosks and receive a one-way ticket that can be used on the Broad Street or Market Frankford lines. 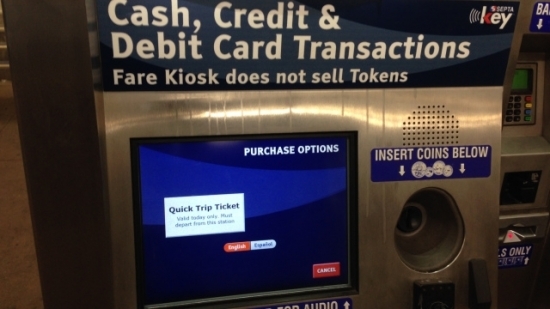 If riders cannot pay with a debit or credit card, they can still pay with cash at the kiosks and receive change from them as well. The cost of the ticket will be $2.25. SEPTA said they have installed 18 kiosks as of now and plan to have one at every stop by October 18th. After one day of being suspended, Philadelphia Parking Authority Director Vince Fenerty resigned Wednesday. Fenerty had been the subject of a 2015 sexual harassment case, as well as a previous sexual harassment case in 2006. PPA Chair Joe Ashdale defended Fenerty Tuesday morning regarding his 2015 case, but when learned about his previous case in 2006, Ashdale ceased defending Fenerty. Fenerty's resignation comes one day before the board was expected to recommend his firing. A teenage gunman opened fire Wednesday at Townville Elementary in South Carolina which resulted in injuring two students and a teacher. The teen opened fire in the school Wednesday afternoon using a handgun. Before opening fire in the school, the teen gunned down his 47-year-old father in their home two miles away. Police were quickly called to the scene where they apprehended the teen. The students were all bused to a nearby church where they met up with their parents. The teen shot one student in the leg and another in the foot, as well as shooting a teacher in the shoulder. Tonight, Rainy, and a low of 62 degrees in Center City.